Goodness I love this time of year. 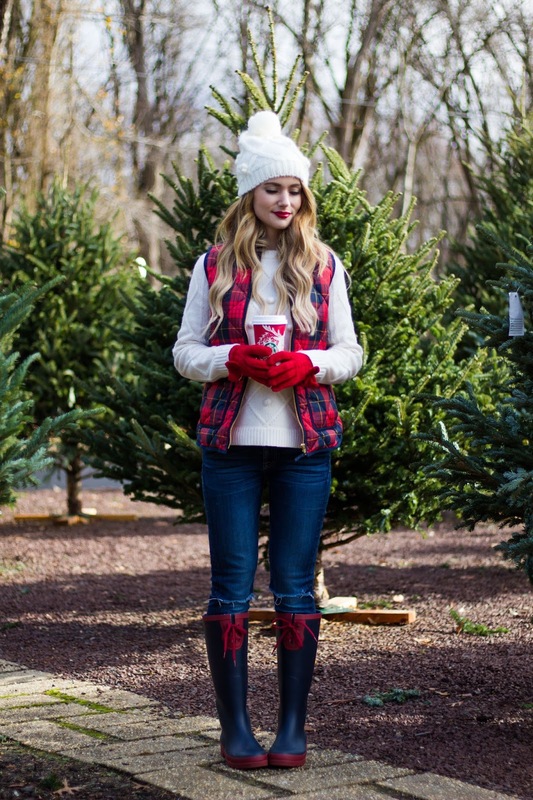 We found the cutest little outdoor Christmas Tree shop, and decided to stop by and take a look. Oh my goodness you guys, the trees smelt heavenly! We’ve been to quite a few Tree Farms this year because the boys love them, and this was was by far our favorite. 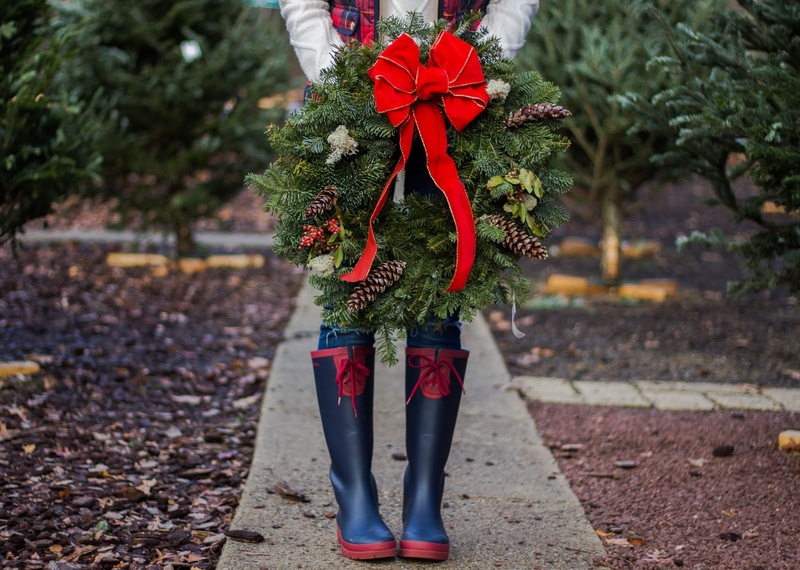 They also had the cutest fresh cut wreaths, and the most beautiful poinsettias. The fence was all decorated with Christmas lights, with lights strung above us. It was beautiful. Beckham insisted on showing us all of his favorite trees, and the shop owner was the sweetest lady. She was so sweet to him, and even offered to bring him out his own little shovel since she could tell he loved playing in dirt (and she’s very right). Every tree was named after a famous Author, and it had such a unique feel from other Christmas Tree Farms/ outdoor shops we have been to. Sorry for my rant, but my husband and I were very impressed. 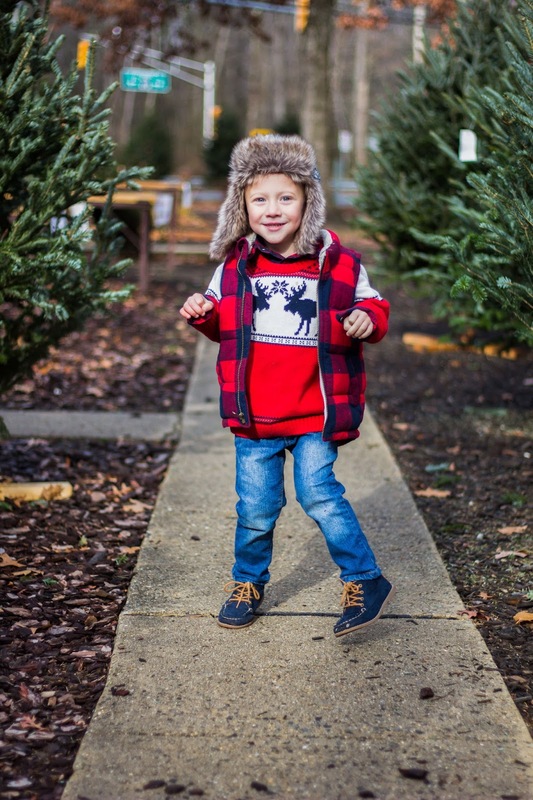 If you’re in the Hamilton/Princeton area and are on the hunt for the perfect Christmas tree (or flowers in the spring, pumpkins in the fall), make sure to check out Perennial Favorites Garden Center. You won’t be disappointed! Another thing I love about this time of year, is dressing in our most festive outfits. I put on my new plaid vest, so Beckham ran to his room and grabbed his. I laugh so hard, because I’m always dressing the boys alike. I think I’m rubbing off on him! 😉 Oh, and to anyone who thinks I shouldn’t dress them alike so they can both be “unique.” The second they tell me they don’t want to, ill stop doing it. Until then, they are all MINE! Haha I paired my vest with this darling Ivory Pom Pom Sweater, and Navy and red lace-up Rain Boots from Tretorn. They are 100% waterproof with an environmentally friendly EcoOrtholite high performance sock and textured rubber sole. 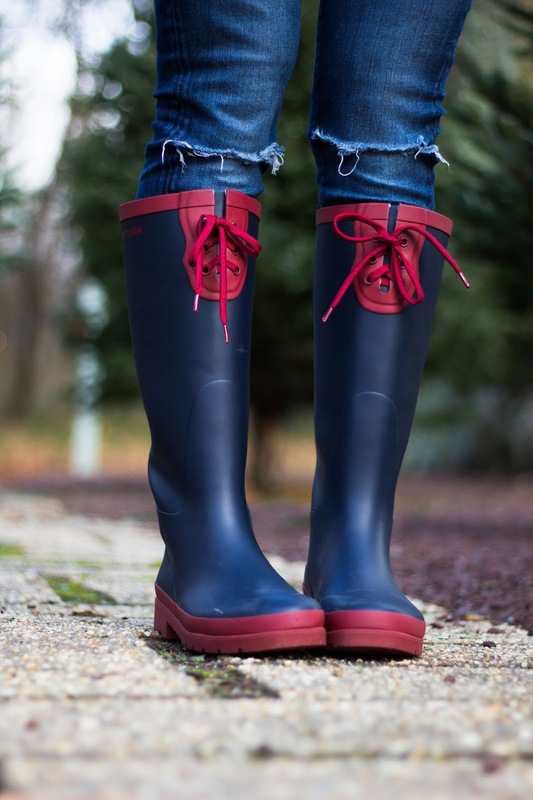 Probably the most comfortable rain boots I currently own. I hope you love this festive Mother Son look. Happy Monday!